Krang’s attempt to create “Krang’s Chasm,” by splitting the Inter-Dimensional portal goes awry. 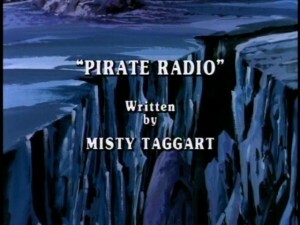 But his hopes boudn when he discovers that everyone in The City listens to the “pirate” radio station WOOF. He figures that he can use the station to lure The City’s populace into Krang’s Chasm. Meanwhile, Michaelangelo has been ousted out of the Lair for listening to the head banging music of WOOF. Shredder, Rocksteady and Bebop travel to the Earth’s surface via a Transport Module in an effort to locate the radio station. 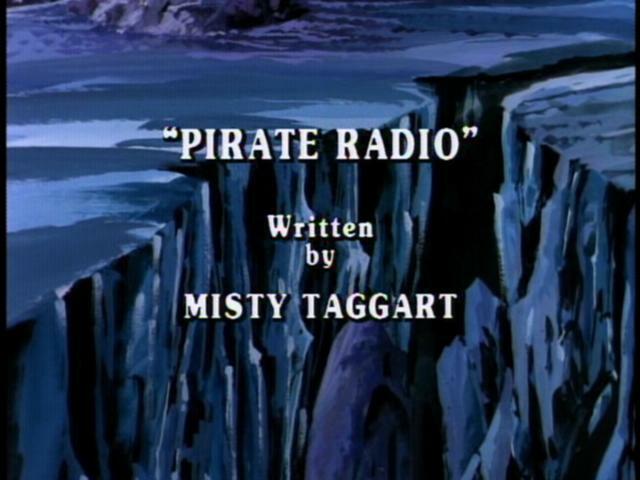 They find it anchored at sea in an old abandoned freighter and then The Shredder, as the new DJ: The Sliver, tells all of WOOF’s listeners to come to the station. The first one affected by The Shredder’s command is Michaelangelo, who walks zombie-like toward the harbor. Irma, another WOOF fan, is next, followed by April who inadvertently hears Shredder’s voice when her favorite radio station changes to WOOF. Leonardo, Raphael, and Donatello rescue April but lose Michaelangelo and Irma as they, along with the rest of the city’s population head out for the open sea and toward a vortex that will lead them into Krang’s Chasm. Donatello is able to locate the source of Krang’s Mind Control Signal and reverses the signal, causing a power drain which in turn causes the Mind Control Signal to go BOOM! Michaelangelo and Irma are rescued just moments before being sucked into the vortex while the rest of the City’s population goes rushing after the Shredder, Rocksteady and Bebop. Shredder assures Rocksteady and Bebop that they won’t be forced to “walk the plank” but they end up being sucked into the vortex by none other than Krang, who is angry that Shredder failed once again.